It’s official, Oxygen Fitness in Barnet is the Happiest Gym in Britain 2016! This year marked the start of the Happiest Gym in Britain competition and what a success it has been. With entries from up and down the UK, the furthest entrant being a whopping 220 miles away in Guernsey! We received some brilliant entries and found it very tough to create a shortlist. Once the shortlisted gyms had been chosen the competition really started to heat up. Shortlisted gyms began reaching out to their members and local community in a bid to amass the highest number of votes. The passion and creativity behind their drive was more than impressive! From very active social media accounts, going out into the community and even radio interviews, the shortlisted gyms really did everything they could to secure the title. The amount of support the gyms received made it clear just how much impact they have on their members and local community alike. The leader board was neck and neck for much of the competition, however as the final days approached Oxygen Fit managed to gain a remarkable lead. Securing themselves the title and accompanying prizes. Alongside their trophy and certificate Oxygen Fit won themselves a double page spread in trade publication Gym Owner Monthly. The article can be found here on pages 29 & 30. The competition was a great success and we would like to thank all of the gyms for entering. It was a great experience for all involved. 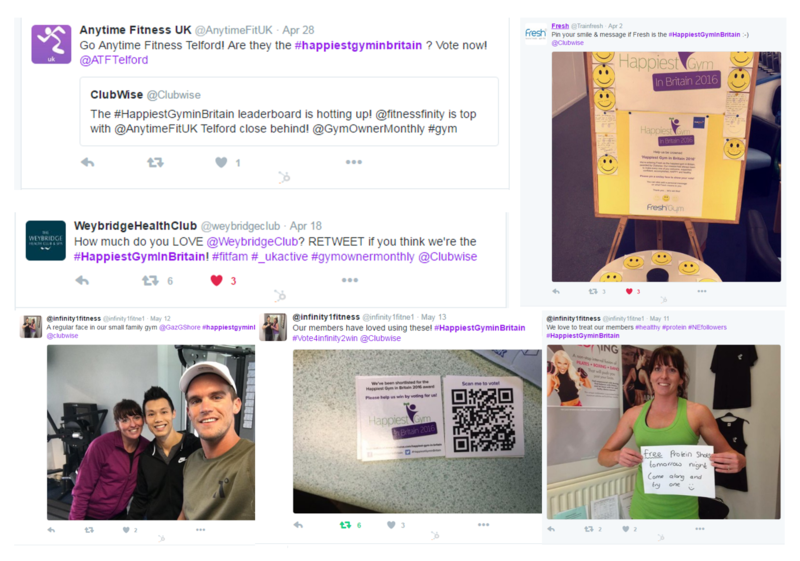 We would also like to extend another huge congratulation to the top three Happiest Gyms in Britain 2016! Do you think your gym has what it takes to be crowned the Happiest Gym in Britain? Watch out for the competition next year!